Driver Has Lucky Escape In Calahonda. A Seat flipped over an embankment and was in danger of falling onto the busy A7 below. 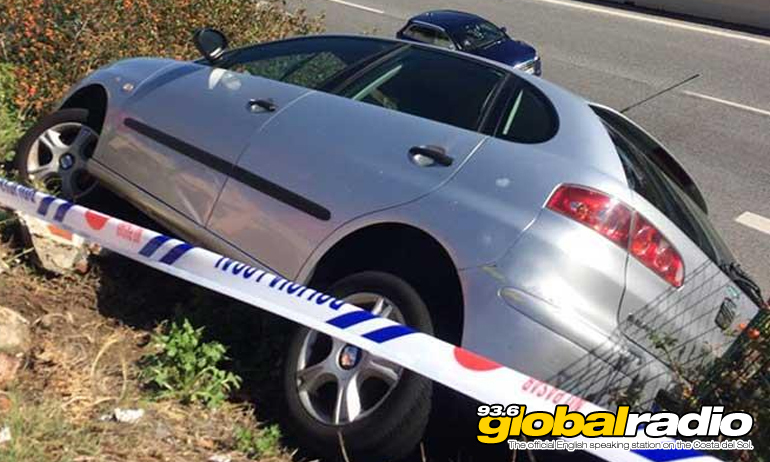 The driver of a Seat car has had a lucky escape after a crash in Calahonda yesterday. The flipped over an embankment close to the Lidl store, and came to rest just above the busy A7 carriageway. Police has to close off the A7 as the car was winched back up the embankment and taken away on a tow truck.